The Baugiano Farm Oasis is a successful example of diversification into tourism and social activities. The Youth Milkshop was established by a group of children who attended the farm thorough a summer holiday programme, learning how to make yoghurt. The Baugiano Farm Oasis is an organic farm and an agritourism centre. It has been active as a social farm since 2005. It produces a wide range of organic products, employs 3 disabled people and organises some 24 different teaching and training activities for children. The Youth Milkshop was established by the children in partnership with the farm which provides technical and infrastructural support. The project is also supported by the local office of the farmers’ organisations "Coldiretti". One of the main objectives of the Baugiano Oasis is to nurture future generations of sustainable farmers. The Youth MilkShop aims to provide kids with the entrepreneurial skills involved in establishing a business. This includes gaining experience from working on an actual farm and developing real-life enterprise projects that help diversify the farm. 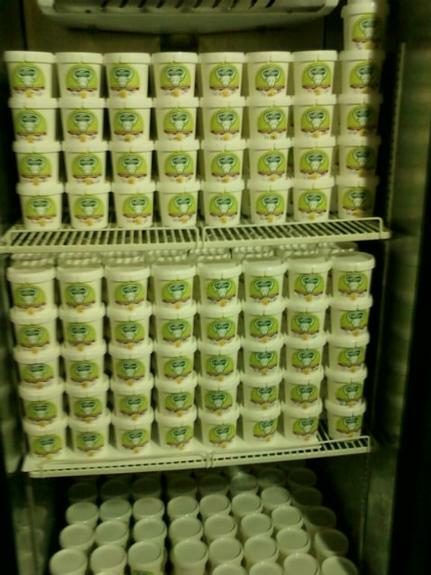 The Youth Milkshop produces 2,400 yoghurt pots a month for sale in the “White Bar”, managed by the kids, and in local school. Other activities directly related to the Youth Milkshop are: the annual milk day to demonstrate the production and processing of milk; organisation of a milking training course in collaboration with the local office of the farmers’ organisation Coldiretti, that supports the project; management of the 'White Bar'; running the Entrepreneurs week aimed at skills development. The Youth Milkshop is managed by 20 children aged between 11 and 16 years and has recently started attending the 2 weekly farmers’ market. The White Bar is becoming the main farm shop, where other farm products such as olive oil, bread, potatoes, honey, chestnut flour, will also be available, offering a new service to tourists and visitors. The children involved have developed a strong sense of ownership of the land, the products they are producing and the business they have developed. Practical on farm enterprise development encourages self-esteem, independence, team working, business management etc. Involving local kids on the farm, and developing a product that is recognised locally helps embed the farm and its other client groups within the broader community. The project highlights how RDP funding can be used effectively to support the implementation of new activities in the farm.